What do you get if you combine a rainbow and a scavenger hunt? A rainbow toy hunt! 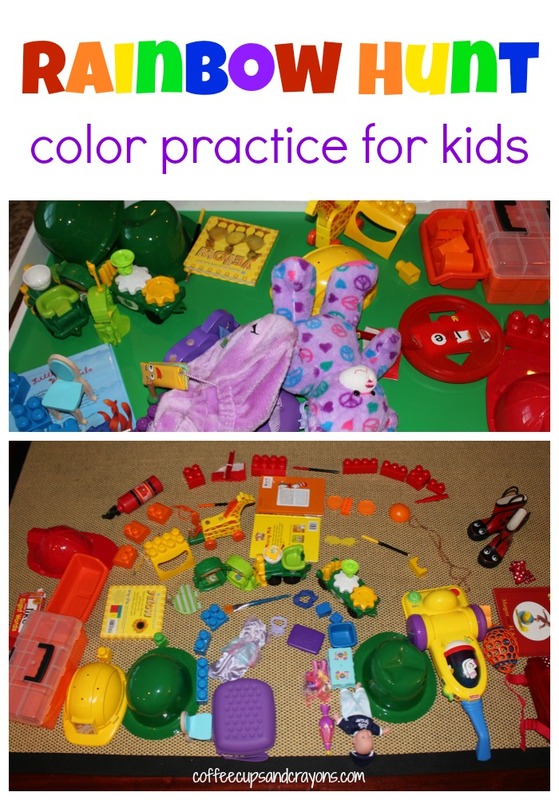 It’s so much fun and a great way to practice colors with kids. 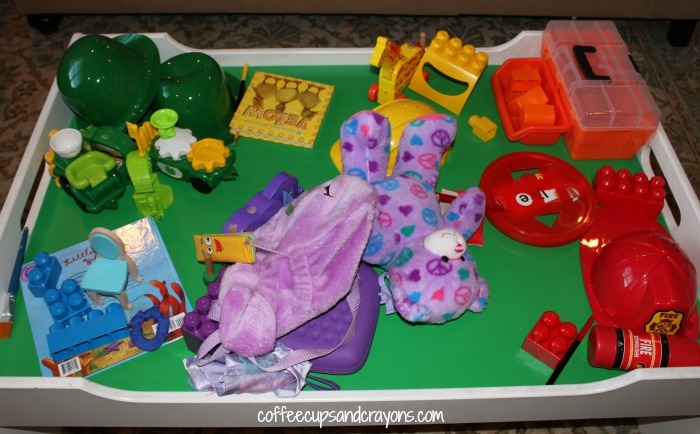 Preschoolers love to move and learn and play with colors so a rainbow hunt is perfect for them! 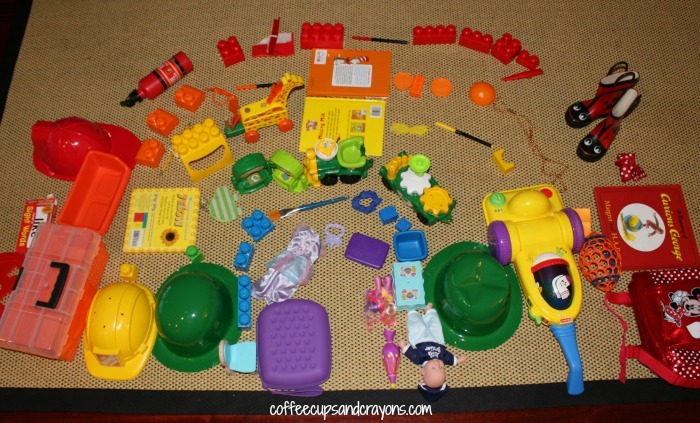 You don’t need any special supplies, just walk around the house and look for toys. Once we had a large pile of each color we organized them into a rainbow. Then we took turns playing I Spy using our creation. Lots of fun for everyone! The other Move and Learn co-hosts were busy putting together Move and Learn Activities for kids this week too, make sure to check them out! This post was first published on March 8, 2012 but it’s so much fun that we are sharing the updated version again today! That’s so cute! We’ll definitely have to do this. And, the tie in to St. Patrick’s Day didn’t go unnoticed! What a wonderful idea! Thanks for linking to the Kids Co-op! I’ve included this as one of my favorite posts from last week! I hope you link up again! Wow! So cool! Thanks so much! I just discovered the Kids Co-op and love all the great ideas that everyone links up! Great site! Thanks so much! I can’t wait to check out your blog! What a colourful scavenger hunt. It looks great.